Love the use of "real models". Apparently they were giving the crowd some attitude too. Sooooo wish I was there! Amazing necklace. Rats plus heaps of chain = yes please! 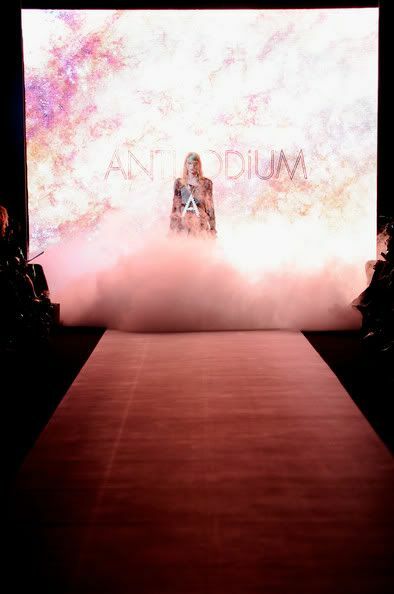 The talk of the town at RAFW (so I hear as I was unable to attend) was the amazingly styled Antipodium collection. Designed by the talented Geoffrey J Finch with the styling by none other than the lovely (sometimes, lol, in taxis his personality suddenly changes) Ryan Lobo from pages digital who was the half girl/half boy in my last post about Matt's wedding. The famed tampon Jewellery was made by Ebony and Amber who I happen to know from when we all lived in Tokyo at the same time! They make up the team at Make Believe, a used clothing online store and jewellery design studio that is seriously going places, they were interviewed by VOGUE and I saw a blurb about them in yesterday's newspaper! So excited for these girls. 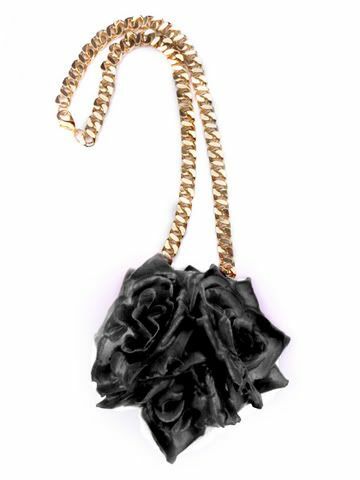 Currently only the Petal to the Metal necklaces are available, but they are working on more styles as we speak. 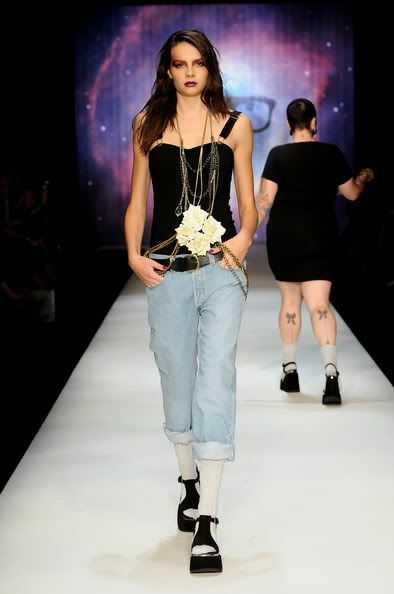 This necklace looked so good on the runway, I may just need to get myself one. To keep up to date on their amazing journey you can read the Make Believe blog. I hope to catch up with these girls soon, I so need to head to Sydney...apparently I am a gay icon over there? Yes, you are definitely an icon Lady Hayley!!! Thanks so much for writing about us! We are currently working on new styles and will be showing off the new look book starting tomorrow...so new pieces are coming your way! Ambony cannot wait to get down to Melbs and catch up! ohh! I would love a massive "A" necklace! Go them for using real sized women. ahhh antipodium looks so amazing. absolutely love the make believe necklace too! You look lovely in the second photo. Did you change your make-up, or anything? Anyhow, you're looking very well, dear. good to see some normal women for a change!